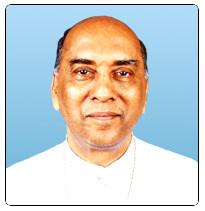 His Holiness Pope Pius XII of happy memory by the Bull ?Quo Ecclesiarum?, issued on 25 July 1950 bifurcated the eparchy of Changanassery and out of the territory covered by the then foranes of Palai, Muttuchira, Kuravilangad, Anakallu, and Ramapuram erected the eparchy of Palai as a suffragan of the archdiocese of Ernakulam. Most Rev. 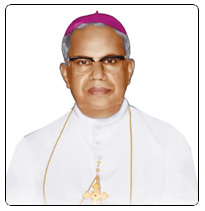 Dr. Leo P Kierkles, the Apostolic Internuncio in India, published the bull in the St. Thomas Cathedral Palai on 04 January 1951 and installed Mar Sebastian Vayalil as the first bishop of the eparchy. 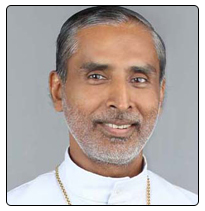 Mar Joseph Pallikaparampil was installed as the second bishop of the eparchy on 25 March 1981. 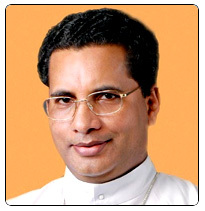 The present bishop Mar Joseph Kallarangatt took charge of the eparchy on 02 May 2004.